This little hymn brings back memories and seems quite appropriate with Darwin Day (February 12) coming up. Being told that in heaven the streets were paved with gold! Of course the last hymn has been sung by experts – Monty Python comes to mind. But here is the latest I picked up by Ben Hillman. 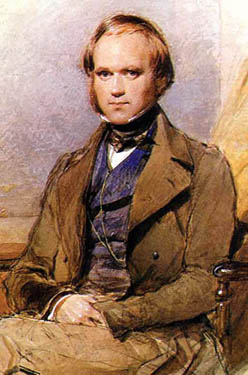 A tradition has developed, particularly in the USA, for the scientific community to mark Charles Darwin’s birthday each year wiuth a reange of events. Lectures, conferences, seminars, etc. The International Darwin Day Foundation provides a list of events for the current year. I don’t know what events are taking place in New Zealand. For myself, I am going to celebrate Darwin’s 202nd birthday by reading an appropriate book. I have chosen The Evolutionary World: How Adaptation Explains Everything from Seashells to Civilization by Geerat J. Vermeij. It’s not a normal biology book. Vermeij’s treatment is more philosophical. The first chapter compares the adaption occurring in the evolutionary process to the hypothesis formation and testing occurring in the scientific method. It’s a fascinating comparison. I’ll post a review of the book in due course.